50 Halloween Indoor Decorations To Make This Halloween Extra Special! I know I am a little early for Halloween/Fall but I just can’t help it! The thought of apple cider, fall leaves, cold nights, and warm sweaters just warms my heart! It has been one hot and humid summer so I am a little envious of the thought of cooler weather! Plus I just went shopping today for my birthday and bought a bunch of winter/Fall clothes! I tried to find items to fit everyone’s style, verses just focus on maybe things I prefer. I am not huge into skulls and scary things, I like it to be more cute, but I know a lot of people enjoy the scary part of Halloween. 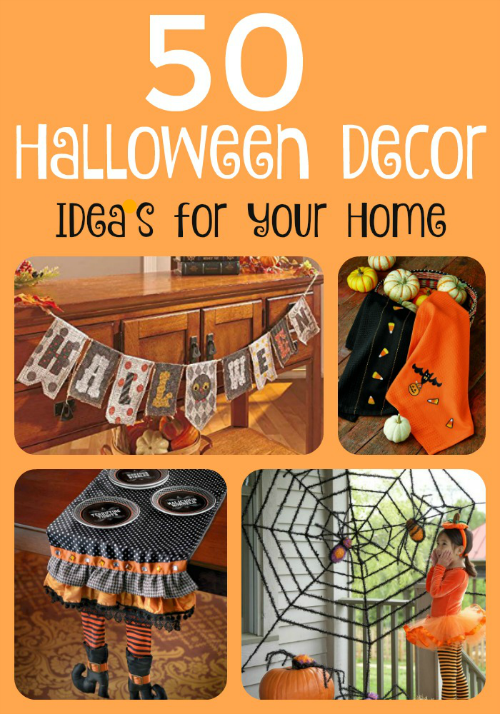 Here are 50 Halloween indoor decorations items including front porch decor you might enjoy!